The Matthews Folbigg litigation and dispute resolution team provides a comprehensive range of alternative dispute resolution (ADR) and litigation services across a wide range of industries and have extensive experience in handling large and complex pieces of litigation. 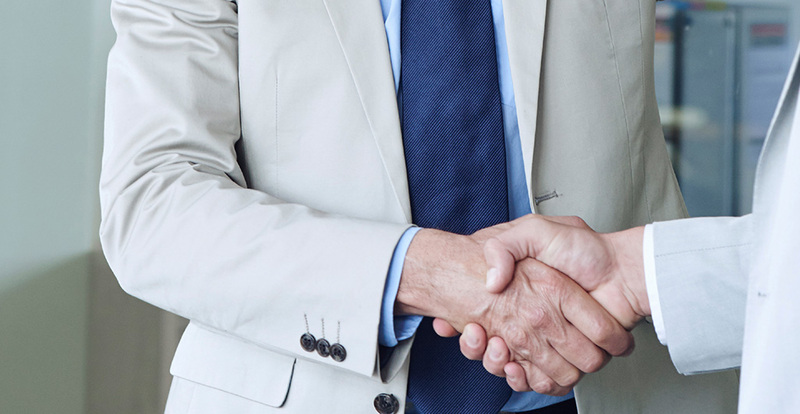 The Matthews Folbigg approach to litigation and dispute resolution is to manage and minimise risk based on a clear and thorough understanding of our client’s objectives. Having a reputation throughout Western Sydney as specialists in mediation and alternative dispute resolution, we recommend the most practical, commercial and cost effective solution to our clients at all times. From the outset, our expert litigation and dispute resolution lawyers give clients a clear assessment of their position and the various options available whilst ensuring their budget is kept in mind. We aim to minimise costs as part of any recommended approach and ensure our clients’ business requirements and overall goals are met. Members of our dispute resolution and litigation team have been involved in some of the largest claims litigated in both the Supreme and Federal Courts in recent years, including a $40 billion claim against the National Australia Bank Ltd which ran for many years. Corporations law – disclosure, applications, examinations by liquidators and administrators, securities and breach of directors duties, director’s claims and disputes. Environment, planning and local government legislation and related matters. Intellectual property / information technology. Compensation law including negligence cases. Property, including commercial and retail leasing disputes. Clients that our lawyers have acted for include Qantas, Shell, Australia Post, Mirvac, Eyecorp, Deloitte, Coca Cola Amatil, Paccon Logistics, Arab Bank Australia, Kimberly Clark Pty Ltd, Multibuild Australia, Reebok, Tyco and Norwest. Matthews Folbigg’s Intellectual Property team comprises experts who provide a complete range of contentious and non-contentious specialist intellectual property services. We offer a complete service to register, commercialise and enforce any intellectual property (IP) right. We develop legal strategies to maximise and protect the commercial potential of brands, ideas and technological advances. We are familiar with a broad range of industry sectors, in particular businesses in the wholesaling, importing, professional services, manufacturing and retail industries. Lodgement of trade mark applications through to registration including overcoming related opposition to any lodgement. Infringement of copyright, notices of breach or defence of alleged infringement. Preparation of Release Forms, Confidentiality Agreements, Licence Agreements and Assignments in order to maintain the integrity of your protected intellectual property. IP Litigation inclusive of Trade Mark, Design registration and Copyright disputes before the Registrar of Trade Marks, Supreme Court of NSW, Federal Court of Australia, Court of Appeal of both NSW and Commonwealth. Trade Mark registrations, complete range of services. Our specialist team provide advice in relation to all building related litigation including Industry Security or Payment Act claims and advice on Builder Insolvency issues, drafting and interpretation of contracts, contract amendments with special conditions. Representing clients in Arbitration and Mediation. Drafting effective dispute resolution clauses. Negotiations to avoid or minimise contested disputes. Mediation with LEADR accredited specialists. Advice on treaties and trade agreements. Conducting and managing complex litigation in all Court jurisdictions.